Looking for something sweet after dinner? Skip the cake and grab some dessert wine instead! Nothing finishes off a meal, or even starts one off, like a nice chilled glass of dessert wine. These white wines are made with grapes that are picked off the vines much later in the season, which is why they are also called Late Harvest wines. Because of this, they tend to have higher sugar levels which makes for some sweet and tasty juice. One of the best values I have found is the Nederburg Special Late Harvest from South Africa. It’s made from mostly Chenin Blanc grapes and at around $10 for a full 750 ML bottle (most dessert wines are sold in 375 or 500 ML bottles) it’s tough to beat this deal. Sure it’s a little rough around the edges, but it still has those floral and honeysuckle components that you want in a dessert wine. Selaks, a winery in New Zealand, makes a very tasty and affordable Icewine which you can get at most places for around $15….but it is only a 375 ML bottle. Both can be found at The Westchester Wine Warehouse on 119 in White Plains. Two of the most respected and highest rated wines in the world are actually dessert wines. Sauternes from France and Tokaji from Hungary are made from grapes that are affected by a fungus, which is nicknamed the noble rot. This rot causes the grapes to raisin a bit making the wines delightfully sweet. These classic dessert wines tend to come with a hefty price tag, but if you are willing to spend a couple of bucks there are some values out there. As far as Sauternes go they range from around 15 bucks to thousands of dollars for the really classic Chateaus such as D’Yquem. However, Chateau Guiraud makes a great one for under $30. The ones that run around $15-20 can be good as well, they will just be a little lighter in texture and flavor. Zachy’s in Scarsdale has a nice selection of Sauternes…. The Tokajis demand around the same price as the Sauternes (except for the really high end Chateaus), but for $30-40 you can grab the Royal Tokaji Wine Company Red Label, which is almost always in Wine Spectator’s Top 100 wines. It has amazing honeysuckle, cinammon and apple flavors that will also pair well with a variety of hard cheeses. But you really can’t go wrong with any Tokaji you find in the $15-20 dollar range as well. 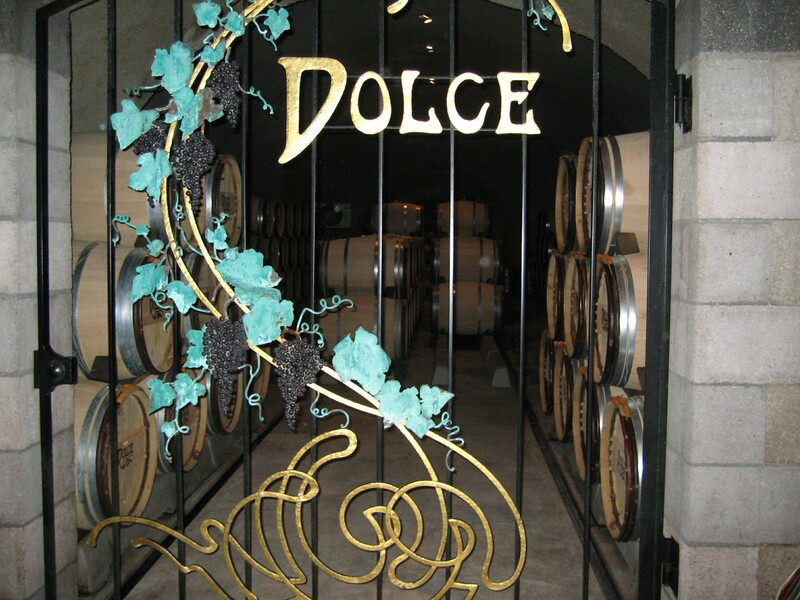 In California, Dolce is King of the dessert wines. It is produced by Far Niente in Napa and they use the same grapes (Sauvignon Blanc and Semillon) and techniques used in Sauternes. It is absolutely delicious, but you need to dig deep for the “Liquid Gold” as it is usually priced around $50-70 for a 375 ML. ← Even though it’s outside of Westchester, Trattoria L’Incontro in Astoria is definitely worth a visit.